Gene Carey, age 70, of Erie, died Friday, May 8, 2015 at Prophets Riverview Good Samaritan Center in Prophetstown. Gene was born July 21, 1944 in Milan into a very large family being one of five boys and nine girls. His loving parents were Leo and Gertrude (Reed) Carey. 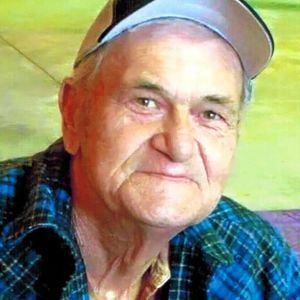 He was employed at International Harvester in East Moline for 15 years, Murphy Brothers in East Moline for 10 years and ran his own gas station and wrecker service. He enjoyed figure 8's, rollovers and demos. He was well known for being a wheeler and dealer with junk cars. In his spare time, you could find him with his fishing pole. He is survived by his daughter, Lori (Heath and grandson, Garrett) Passmore; his son, Kyle (Cheyanne and grandson, Lucas) Carey; two brothers; five sisters; numerous nieces and nephews; and two older children, Buddy and Kelly and their children and grandchildren. He was preceded in death by his parents; one daughter, Joy Carey; two brothers, Bob and Leo; and four sisters, Georgia, June, Mary Ann and Dottie. A gathering of family and friends will be Saturday, May 16, 2015 from 2-4:00 PM at the McDonald Funeral Home, 46 Grove St. in Prophetstown.